Ada soalan mengenai Protea Hotel Clarens? Direka untuk kedua-dua tujuan perniagaan dan percutian, Protea Hotel Clarens terletak di lokasi strategik di Clarens; salah satu kawasan yang paling popular di bandar tersebut. Terletak 2.0 Km dari keseronokan bandar, hotel 4-bintang ini terletak di lokasi yang sangat baik dan menyediakan akses kepada tarikan terbesar di bandar. Tidak kurang hebat adalah akses mudah hotel untuk ke pelbagai daya tarikan dan mercu tanda bandar, seperti Bossie Knives, The Ugly Duckling, Mona Lisa Garment Gallery. 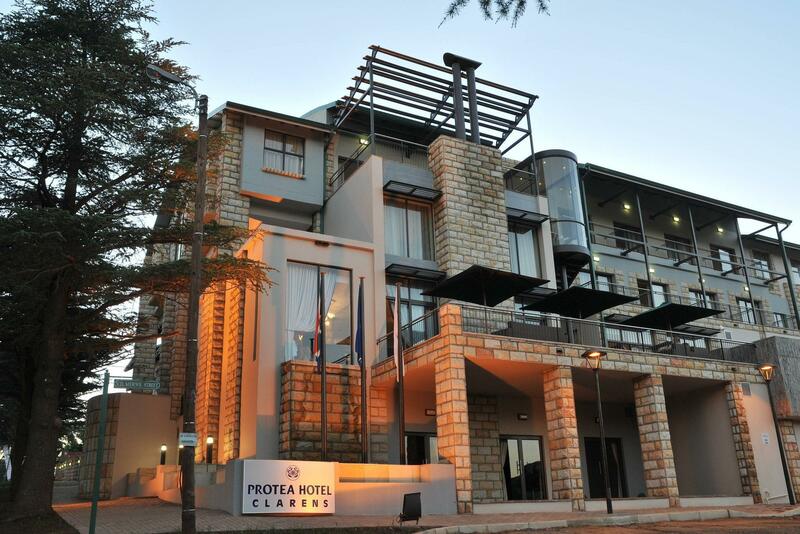 Marriott terkenal kerana perkhidmatan yang berkualiti dan kakitangan yang ramah, dan Protea Hotel Clarens ternyata seperti yang dijangkakan. Hotel ini menawarkan pelbagai kemudahan di lokasi untuk memuaskan hati tetamu termasuk yang arif. Semua penginapan bagi tetamu menawarkan kemudahan yang difikirkan dengan teliti bagi memastikan rasa selesa yang sukar ditandingi. Senarai lengkap kemudahan rekreasi boleh didapati di hotel, termasuk padang golf (dalam jarak 3 km) , kolam renang terbuka. Apabila anda mencari penginapan yang selesa dan mudah di Clarens, ijadikan Protea Hotel Clarens sebagai rumah anda seperti berada di rumah sebenar. Great halfway stop on the way to Joberg from the airport. Went down for a weekend and found the hotel to be inline with our expectations. Location, staff preformance and comfort. Located centrally to the square. Very good service with a excellent South African breakfast. reasonable, very dull service and at times non existent. No information desk or concierge. No bell boy. Mediocre food display (breakfast), very limited wine list (dinner). The hotel was lovely. 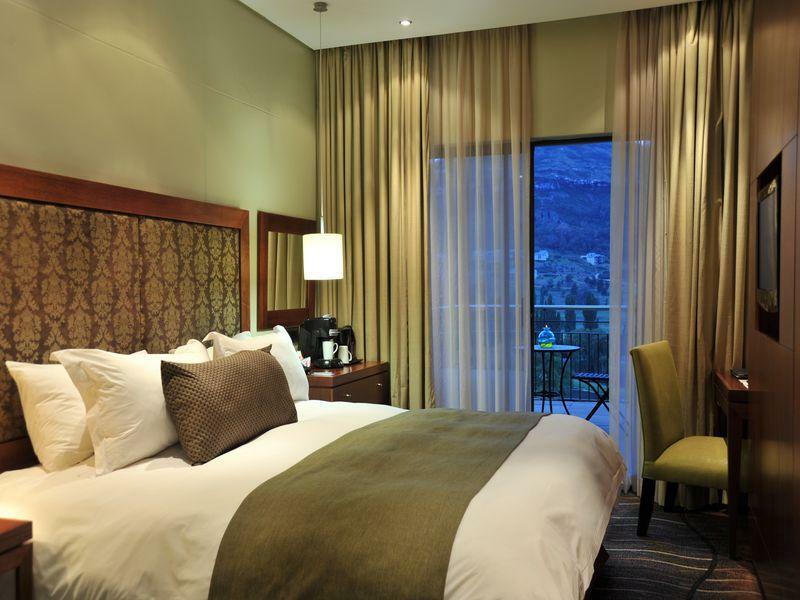 Clarens is a safe and quaint place to visit. Super hikes. Great restaurants. Lots of neat shops. It was a great stay i would recommend this hotel to a friend. Only thing that i was unhappy about was the shower was cold on the second day, i assume this was because it was a long weekend and the hotel was at capacity, but still not an ideal situation when the weather is cold. Our stay at the hotel was beyond our expectations. 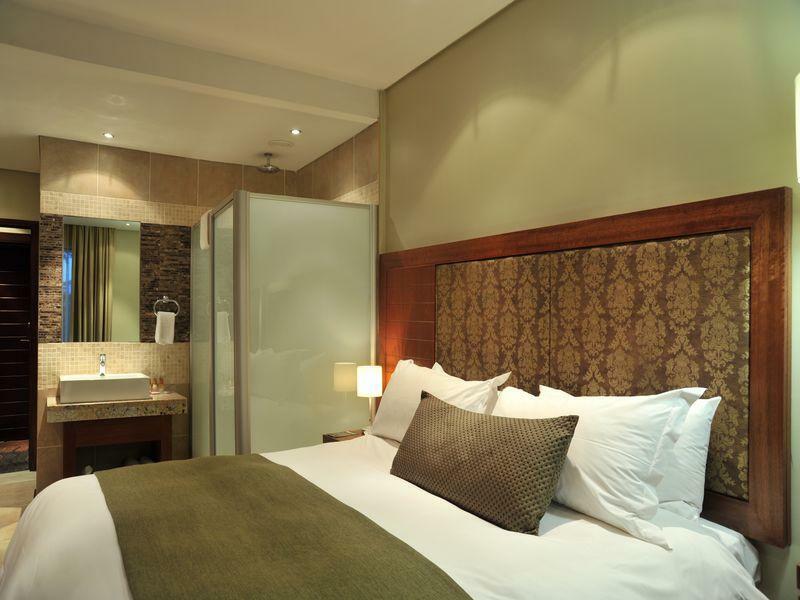 Rooms are very good - clean and very comfortable. Wonderful ambiance in the hotel. The setting makes it very special. Central location and easy to find. Not too big or small. Nice safe parking. Relaxing with many options for entertainment. Helpful staff with quick service. Very clean and modern hotel. Rooms are comfortable and very clean. Resturant and bar offer good variety and quality meals and drinks. Layout and open space well thought out for all ages to move around the hotel. Tasteful art displays. The stay was pleasant. The decor and details I would say are not quite in line with the 4 stars this hotel was awarded. I have stayed in 4 star hotels with better decor, design and service. I would say it is more like a 3 star hotel. The location is fantastic and the breakfast great. Most enjoyable, will hopefully spend two nights when there again. It was amazing, would really recommend it to anyone! !